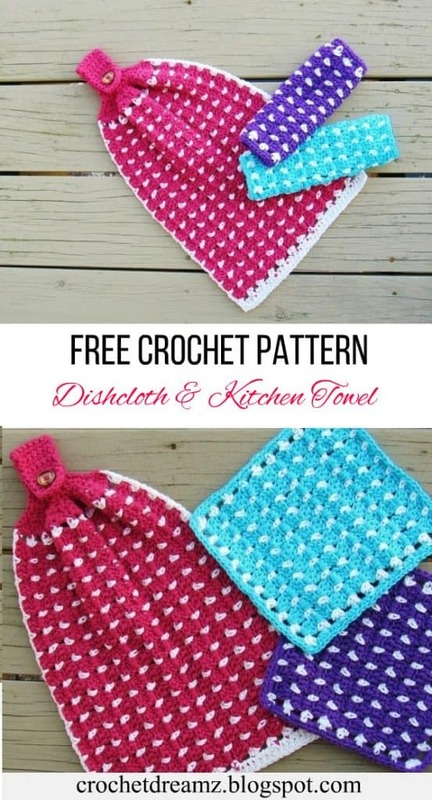 If you made my block stitch kitchen towel already, this dishcloth crochet pattern should be a breeze. 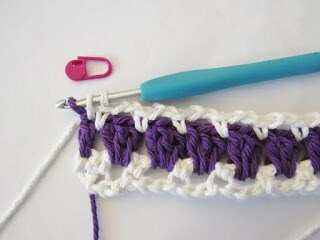 It uses the same stitch and will help you make a matching pair for your kitchen. 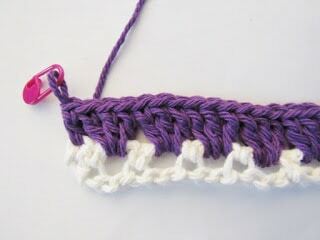 You can even make two of these, join them with a border around and turn it into a pot holder. That would be triple the fun, right? 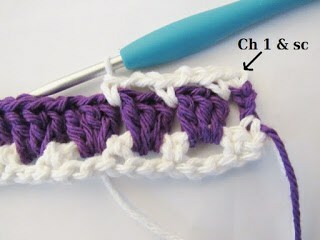 With H hook and cream color yarn, ch 31. The initial chain is a multiple of 3+1. Repeat rounds 2 and 3 eight more times to end in a Row 3 repeat. Fasten off the cream color after you pick up the purple loop. Ch 1 with the purple color you just joined and work across the row ends, 1 sc in the same corner as ch 1, 3 sc in the space under each beginning ch-3 until you reach the next corner, 3 sc in the corner, pivot your work to work across the next edge, 3 sc in each ch-2 space across, 3 sc in the corner, 3 sc in the space under each beginning ch-3 to next corner, 3 sc in the corner, 3 sc in each ch-2 space across, 2 sc in the corner, sl st to the first sc. Fasten off. 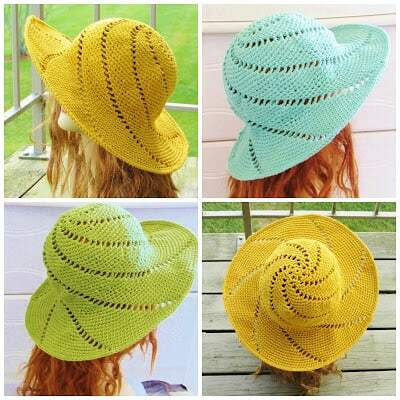 Check out my full collection of crochet patterns here, Pattern Gallery. Love it Thanks so much for sharing this. I will be trying it soon. I am glad you like it, thank you for visiting my blog.